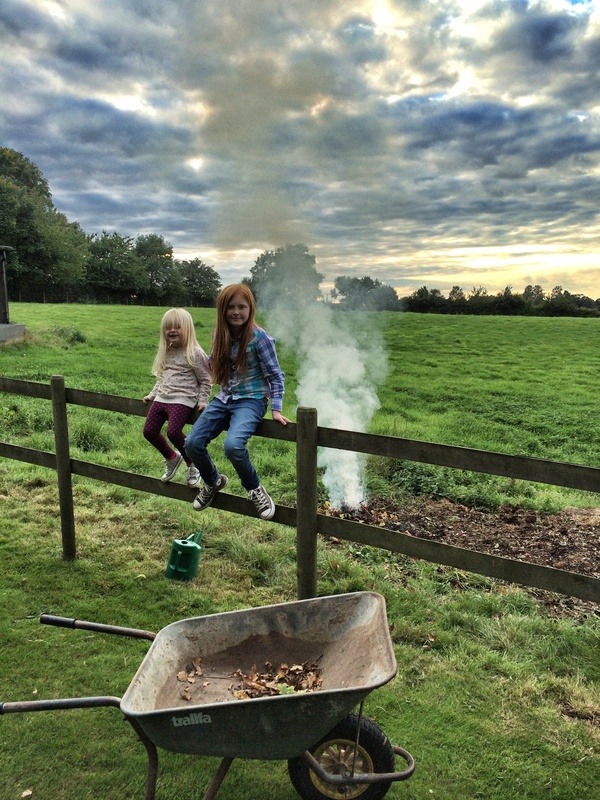 I know it’s another month until Bonfire night., but this afternoon we got smokey down in the field. David the Gardener had burnt a cracking bonfire on Thursday and while I was down at the compost bins today, I wandered over to the ashy remains and realised it was still smouldering. 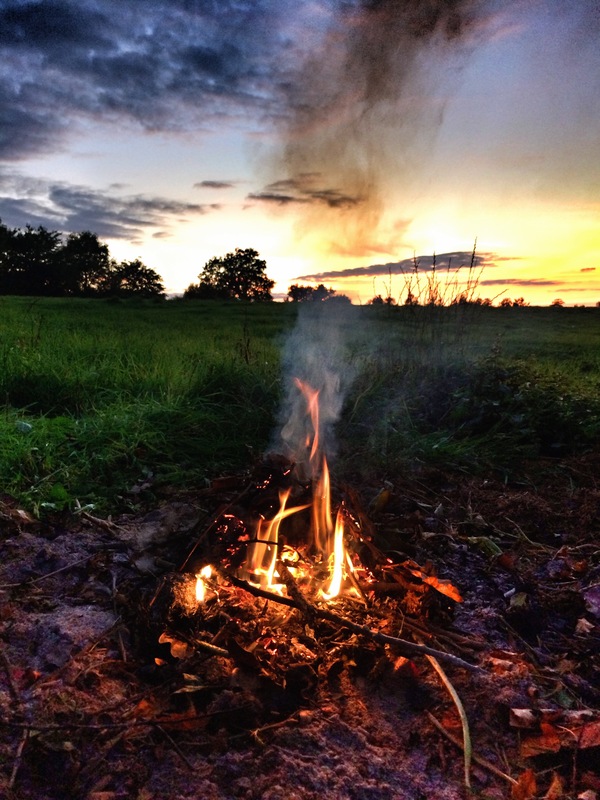 I think there’s a small pyromaniac lurking in all of us, and it didn’t take much prodding with a stick, and stoking with a few fallen leaves to get it going again. And it didn’t take long for the girls to get involved too. They found a couple of rakes and eagerly filled the wheelbarrow with fallen oak leaves and encouraged me to keep the flames going. 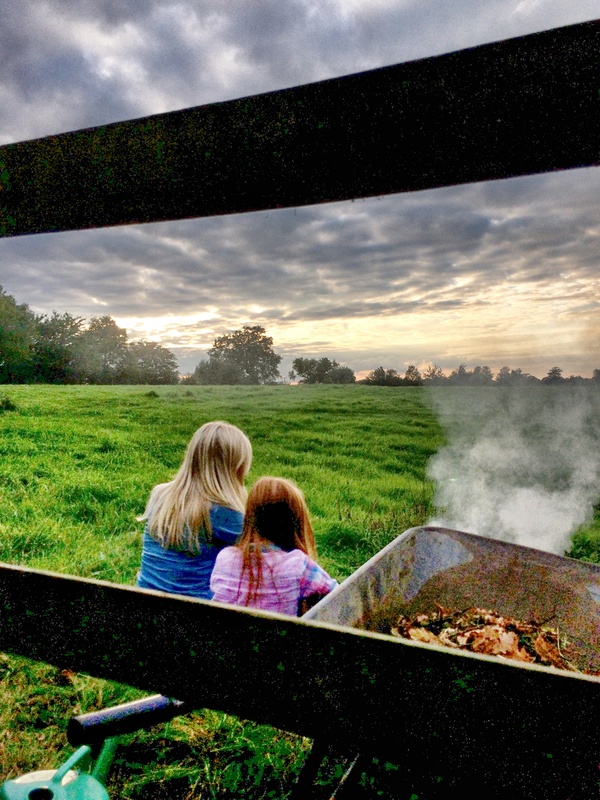 There’s a hypnotic quality to smoke – we were all transfixed and spent a couple of hours down there, watching the smoke drift across the valley. It was a lovely way to spend the afternoon; embracing the onset of autumn, and clearing up the garden at the same time. And I couldn’t help myself. I popped back down there at dusk, purely to make sure it was dying down, but gathered just a few more leaves and got those flames blazing one last time. I’m now looking forward to the colder days so I can practise my firestarting skills on the log burner in the living room. This entry was posted in Uncategorized by mummymojo. Bookmark the permalink.